ca. 470 - 460 B.C. 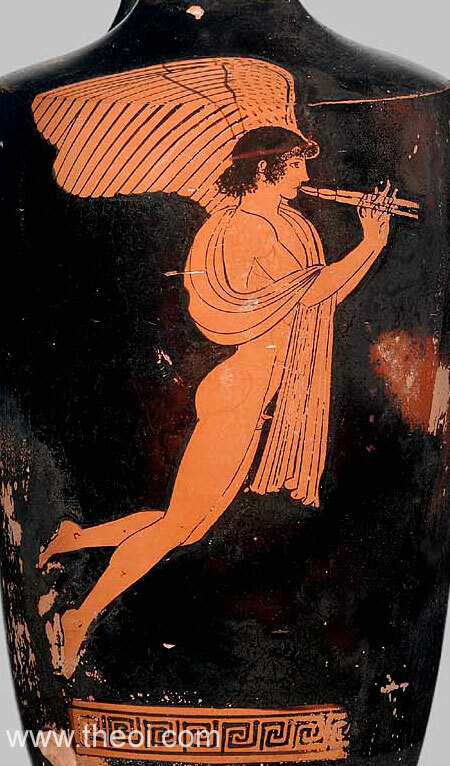 Eros the winged god of love plays a tune on a double-flute. He wears a cloak draped loosely across a shoulder and arm and lifts his legs in flight.